Smart PTT radios allow you to talk everywhere. 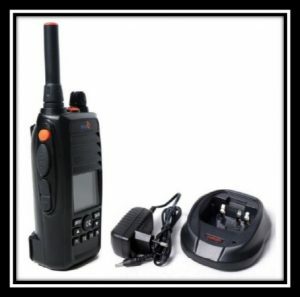 These communication devices combine conventional 2-way radios with modern smartphone technology. Smart radios look and feel like conventional 2-way radios but that’s where the similarities stop. Smart PTT radios take advantage of existing cellular mobile networks for coverage across Africa to offer 2-way communication between your office in Pretoria and your suppliers in Namibia or anywhere else in Africa (SIM card required). Smart radios therefore have virtually limitless range. As long as there is a mobile signal or Wi-Fi coverage, you can communicate. Conventional 2-way radios are mostly limited to line-of-sight range without the use of expensive repeaters, even then the range will be limited to a geographical area. Smart radios do not suffer from interference. We’ve all experienced bad reception when using crackly walkie-talkies. This can even be the same with professional 2-way radios. Because smart radios are digital and they harness the power of cellular or Wi-Fi networks, they provide high-quality audio with no crackles. Our radios are offered with dispatch software that allows the dispatcher to trace and track all radios. Battery time is extended and the radios can easily be charged as one would do with a normal two-way radio. Because they are effective at wide-area communication in many different environments, they are the perfect replacement for cellphones and they provide additional functionality. 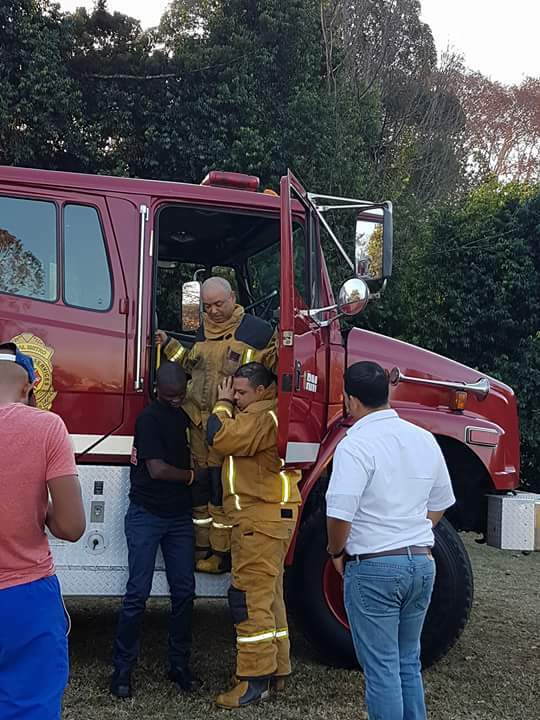 A Delegation from Botswana recently visited Rural Metro Head Office in Pietermaritzburg to benchmark the Companies fire & rescue capabilities. 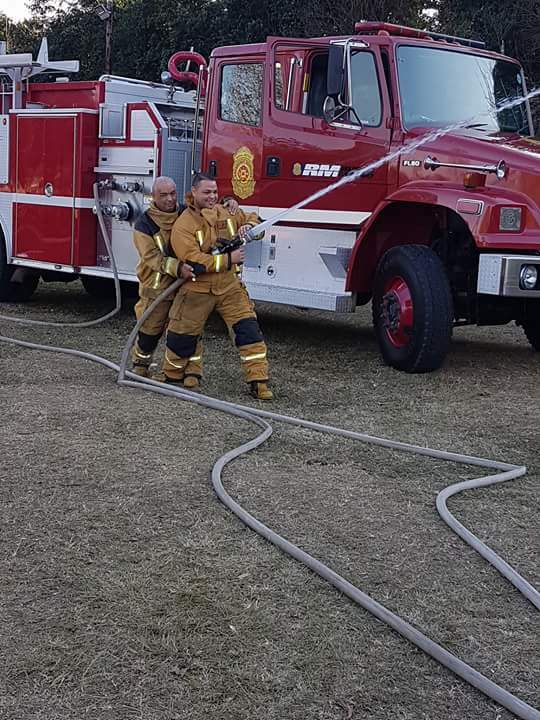 The Botswana Government is looking at ways to expand the country’s fire protection efforts. 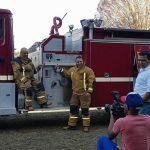 Rural Metro expanded its footprint into Botswana in 2015, establishing fire services in the Kweneng District Council – an area where previously no fire services existed. 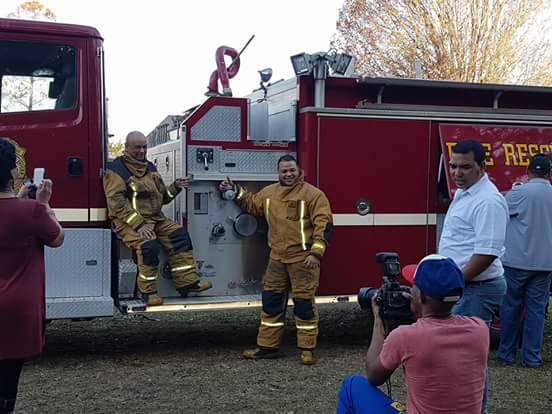 The Public Private Partnership (PPP) was widely viewed as a pilot project for the expansion of protection services, offering fire & rescue response to the community, business sector and government. The initial roll-out has been hugely successful hence the reason for the Botswana government’s visit, gaining insight into our corporate structure, operational models and training facilities. The Botswana delegation was led by Assistant Minister of Local Government and Rural Development Fransham van der Westhuizen and Deputy permanent secretary from the ministry Nchizi Mmolawa. 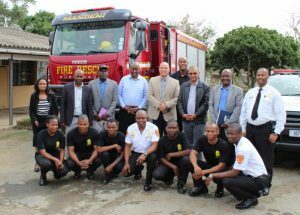 Senior officials from the Southern District Council, Ghanzi District Council, Kgalagadi District Council,and the Chief Fire Officer from Gaborone City Council formed part of the delegation, which visited Rural Metro Head Office and the Rural Metro Fire Station at Mandeni Municipality on the KZN North Coast. The Rural Metro Emergency Management Team recently seen demonstrating to the public how to extinguish a house on fire in Molepolole. 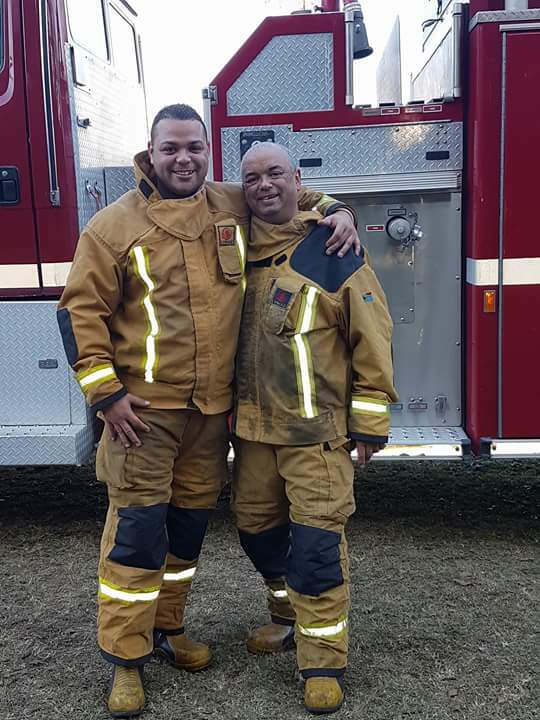 Shift Leader Mr Keatametse Kedibonye (Not in the picture) said it was important for the public to be taught how to extinguish fires in order for them to be able to remain calm and cautious when caught up in such a situation. 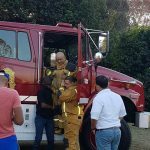 He urged residents to avoid getting close up to dangerous or explosive objects such as gas cylinders while in the fire extinguishing process. 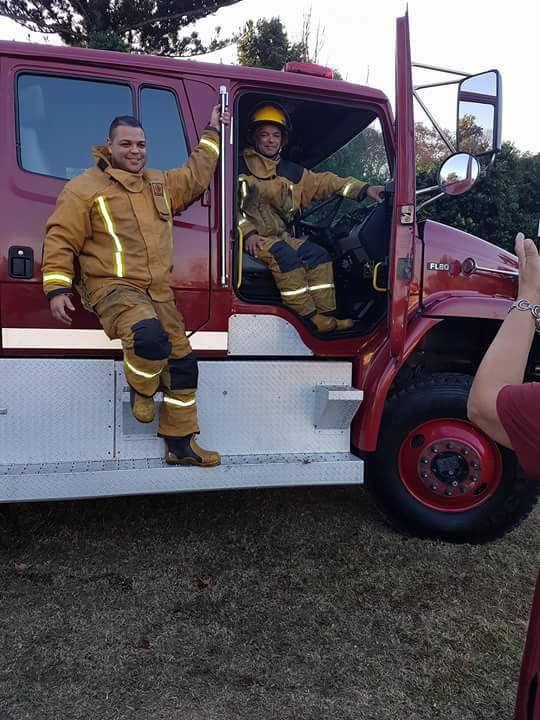 Story sent in by Chief Fire OfficerJacques Naude. 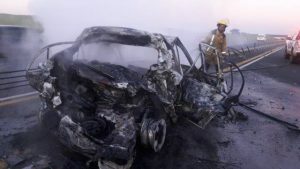 Two men have burnt to death in the back of a car that had caught alight after a collision on the N2 just past the Mandini Toll Plaza. 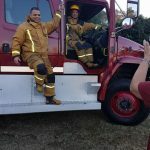 “The driver of the light motor vehicle came to the paramedics and informed them that there were two of his colleagues in the backseat severely entrapped”. 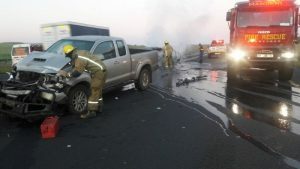 Fire fighters used hose a hose reel to extinguish the fire, extricated two blue codes, used absorbent, brooms to clean the road and then disconnected the battery from the Toyota Hilux. There can be few situations emotionally worse than watching one’s house or business go up in flames. To see one’s life’s work or household full of memories and irreplaceable valuables burn to the ground must be utterly devastating. The only thing that could be more soul destroying would be the loss of human or animal life on the gutted premises. This being the case, everything possible must be done to ensure that a small fire does not escalate to drastic proportions. 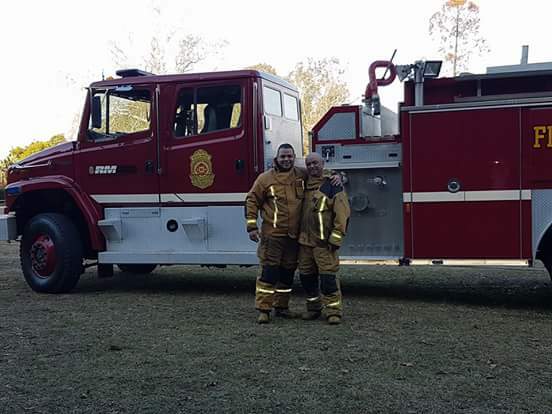 In the case of fire, business- and homeowners rush to the telephone and dial the emergency number, hoping against hope that help will arrive quickly, before it is too late. Sadly, the Zululand Obzerver newspaper recently reported of not one, but two huge fires that destroyed businesses in eShowe and Hluhluwe. Massive losses were sustained in both incidents and the owners will be out of business for many months. There were similar, appalling responses at both fires – a catastrophic list of failure of man, machine and method to deal with the blazes. 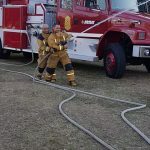 Vehicles took ages to arrive, and when they did, hoses could not be connected, water ran out, hydrants were unserviceable… and more. But for the assistance of bystanders, farmers, private companies, security personnel and other community volunteers, all would have been lost. 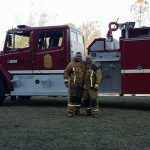 Provision and maintenance of vehicles and equipment should be the highest priority of any municipal emergency service – presuming they do have able leadership, well trained personnel and good morale. As a cost-cutting exercise, one could perhaps cut back on certain functions within a municipality, but this is one area that cannot afford skimping of any kind. Yet it appears such services are near total collapse in some places. 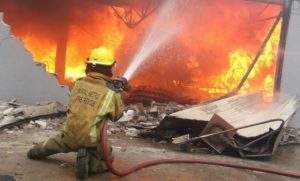 Fire and accident responses are literally life-saving services and the public has the right to expect excellent reaction in these circumstances. 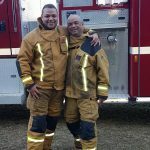 Firefighting is not a core function of municipalities, and wherever possible emergency services should be contracted out to professionals. In this region, Rural Metro was active in a number of municipalities, but contracts were terminated. Perhaps the issue was politicised? Or did local government officials see this as a way of creating jobs within the municipality? There should be no compromise when it comes to the value of human life and property. This is the opinion of Zululand Observer Editor Dave Savides. AN early morning crash on the N2 between Zinkwazi and the Tugela River Bridge has left at least one person dead and five injured. A gold Volvo hatchback and a Hyundai bakkie collided head-on. 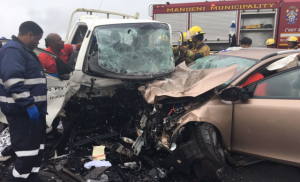 According to IPSS Medical Rescue’s Samantha Meyrick, they treated two critically injured patients while KZN EMS transported a third to hospital.